The round shape and style complements the artwork. This display light comes with a shade that reduces glare and disperses light evenly on the picture. 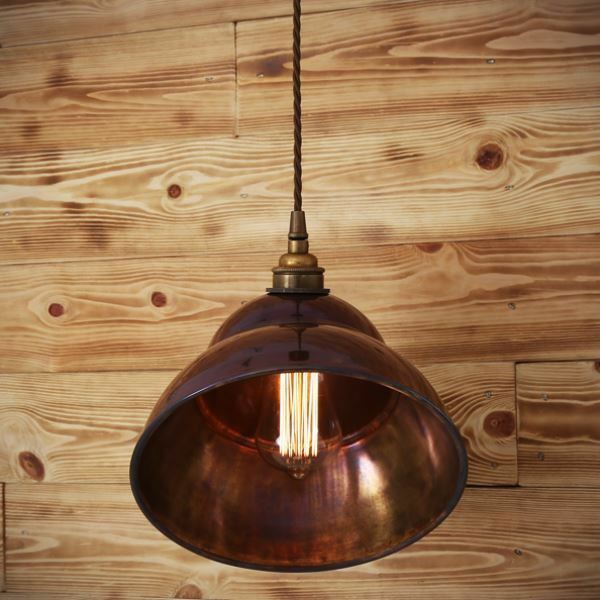 This vintage ceiling light is a striking choice for a modern home with the copper shade plenty of task lighting for detailed work and ambience. A versatile design that will engage your eye with its clean lines and vintage flair. For example, a chandelier in your dining room would provide ambient light, and one or more wall sconces would be the accent lights. Another use of accent lighting is to showcase a feature in a room, such as a painting or a collection. You’ve probably seen this in art museums. Downlighting is a popular technique where you can add a moderate amount of light in specific areas of a room. This is ideal to use in rooms that have a lot of natural light during the day, but not so much at night. These downlights are perfect to add to a room to provide a moderate amount of light during night time. This elegant pendant light works like a reflector that you can freely move around the light source, thus gathering the light and directing it towards the space or object you want to illuminate. Designed to attend your needs, the Cork Picture Light has a contemporary design with a simple style to give a functional and decorative look to any space. This LED flexible wall light is a perfect companion piece next to your bedside or favorite reading chair. A modern solution for both commercial and residential settings, this recessed downlight will be a valuable asset for applications where the lights are used for extensive periods. With a sophisticated design and sleek profile, the Georgetown Industrial Clamp Table Lamp is a great accessory for an industrial look in the office or home studio. 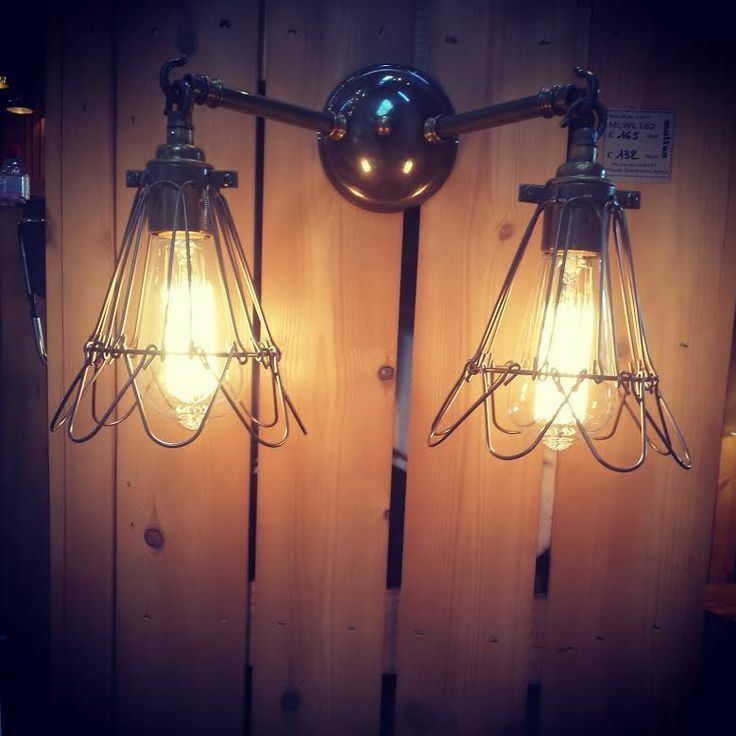 This industrial clamp lamp with a metal swing arm will bring a vintage industrial aesthetic to any modern setting. Perfect to accent a steam punk or industrial theme, versatile enough to enhance any residential, retail or commercial space, the Cena Modern Industrial Wall Light creates a formal yet elegant atmosphere with a sleek and simple profile. Featuring a sophisticated design, the Cairo Chandelier melds a mid-century modern style with a futuristic twist. This ceiling fixture will bring presence and functionality as a great billiard light, but it also offers a new take on kitchen island or dining table lighting. Typically, a spotlight or floodlight is used to accent an object, though tracklights also work in certain applications. Higher wattage incandescent bulbs are often used in table lamps and wall lights for accent lighting, and halogen lamps are primarily used in spotlights. Please take a look in some of our suggestions for a proper accent lighting in your home. With their slim and understated profile, the Nyx Adjustable Coolie Glass Wall Light shows a versatile design that will look superb in any setting. 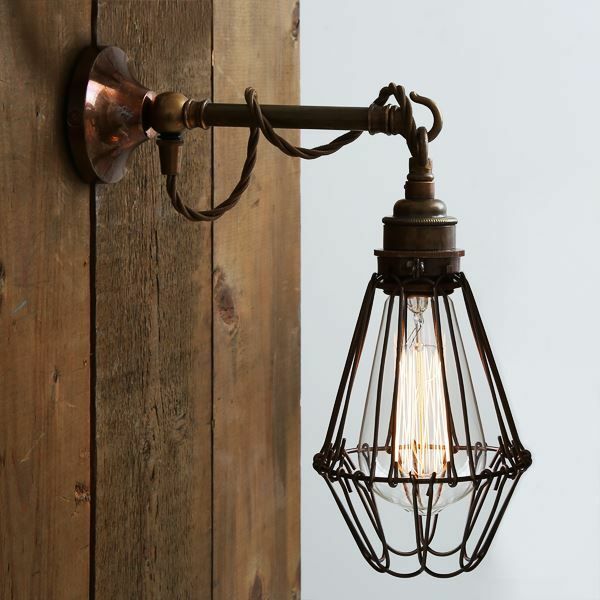 This wall mounted light is perfect for living areas or in the bedroom as a reading light. The result is a sophisticated and highly functional swing arm lamp with an extendable arm that can be adjusted into different positions to extend its reach, allowing effortless adjustment to shed direct light on reading or tasks, while providing its surroundings with soft shaded illumination. With a slim profile, the Accra Traditional Brass Spot Light was designed for lighting small areas. 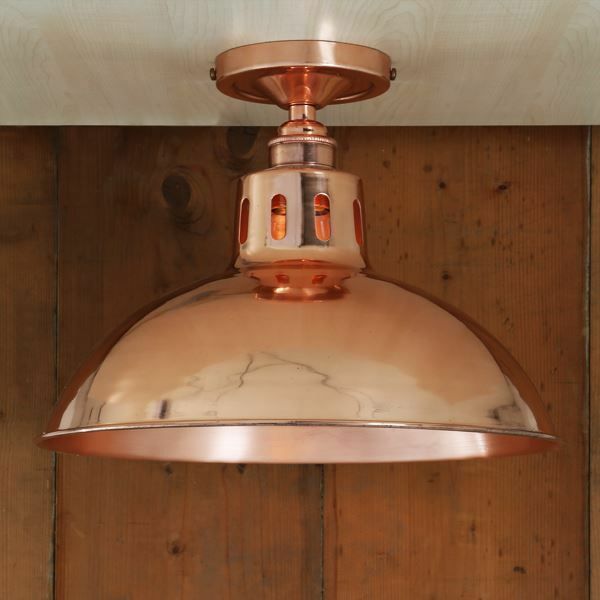 This industrial spot light looks great in a row over kitchen worktops, as a spot light for a treasured picture or object. Under-cabinet down lights are helpful for kitchen tasks, because typically, your shadow gets in the way of the ambient light sources. Desk lamps or floor lamps trained on a desk are useful in the office, and table lamps with high watt bulbs work well in the living room and bedroom. Please take a look at some of our suggestions for proper task lighting in your home. The Dublin 60.5cm Solid Brass Picture Light gives a spectacular illumination to the picture and creates a sophisticated ambience in the room. The illumination of this display light gives an aesthetic appeal to the traditional painting as well as the wall. With a clean and simple design, the Bogota Quirky Pendant Light provides a fabulous accent lighting in seating and display areas. Its angled silhouette allows for directed side lighting that makes it an ideal solution for commercial settings such as restaurants, office spaces and boutique stores. With its ultra-modern silhouette, this contemporary chandelier exemplifies the bold, contemporary aesthetic with a series of eight spun shades that will light up any contemporary setting. It’s a key element in the kitchen and office, where specific tasks requiring proper light are relevant. It’s also useful in the living room for projects, or in the bedroom for reading and helps to avoid eye strain. There are many different kinds of lights that perform the job of a task light. Providing soft ambient lighting, the Berlin Vintage Ceiling Fitting will bring a smooth ambience to your room. 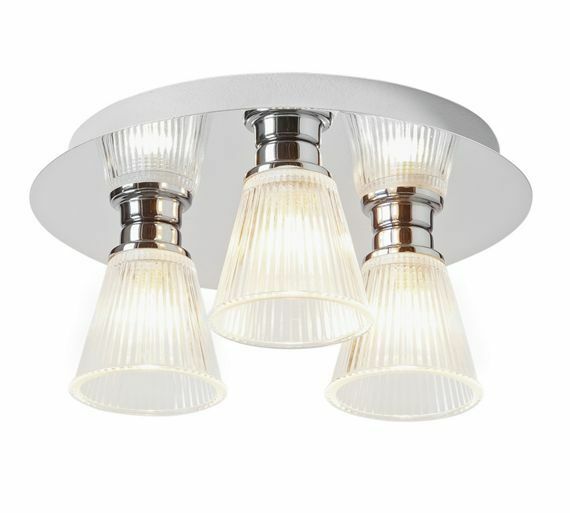 Perfect to providing downlighting for seating areas, this semi-flush ceiling light looks splendid mounted in a hallway or over a kitchen table. 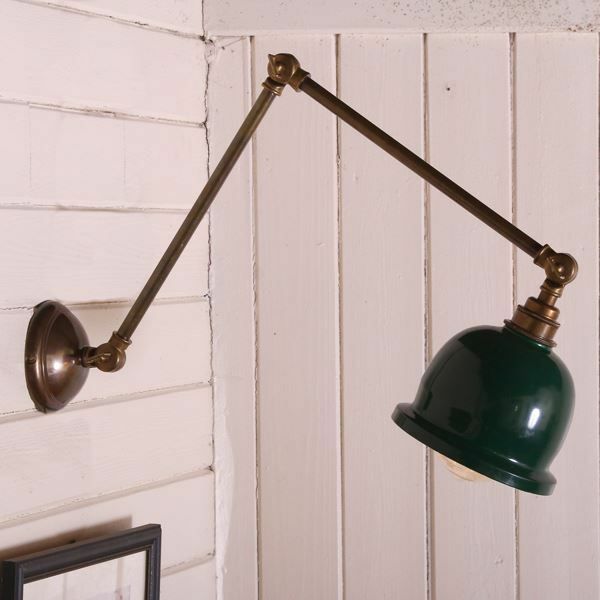 A wonderful alternative to overhead lighting, this vintage wall light features a sturdy arm that can be adjusted up and down effortlessly to shed direct light on reading or tasks while providing its surroundings with soft shaded illumination. This industrial poster light has a swivel arm that can be adjusted to a number of different angles. The simple and formal design is ideal for commercial use, including restaurant and pub lighting. A sophisticated addition to any interior. 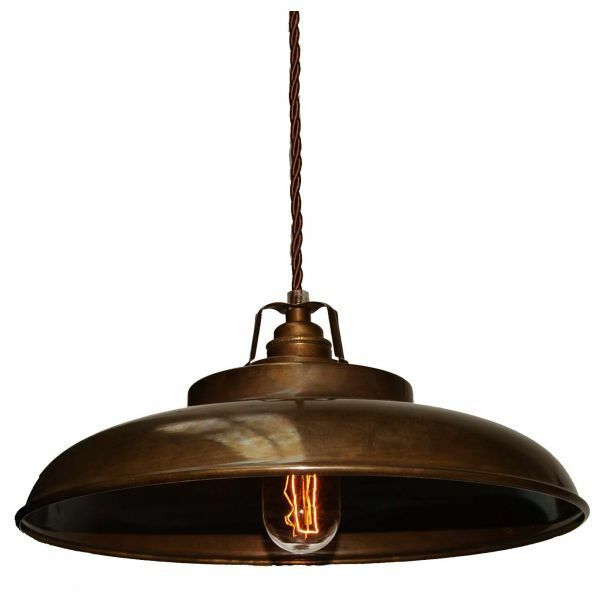 With a brass shade and a vintage style braided cord, this industrial pendant light will add a few shades of warmth to your interior. The Kent Traditional Adjustable Spotlight entwines an ideal environment to contemporise your interiors with clean and simple looks. This adjustable spotlight is ideal for lighting rooms with lower height ceilings and works well in hallways and traditional kitchens. The Splendor Brass Pendant Light is a groovy suspension ﬁxture ideal for a contemporary living room. 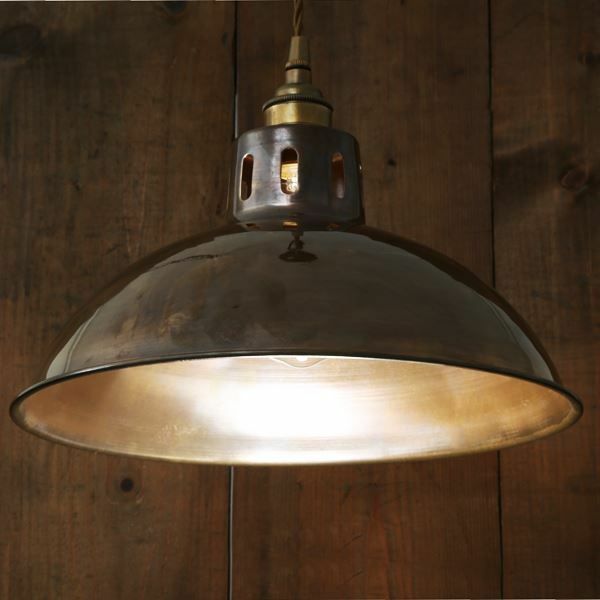 This industrial pendant lamp is perfect for providing downlighting for seating areas, kitchen islands, or dining areas. The Calis Scissor Arm Cage Light will enhance your home with a perfect mix of form and function. This extendable wall light is perfect to suit in either side of a bed or next to a chair for reading light. Fully adjustable, this picture wall light can be adjusted in almost any direction so the light can be pointed in various ways. 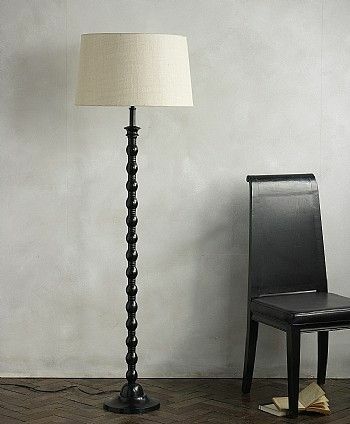 An ideal bedside lamp to revive your interior in an innovative way. The ambient light is usually dim, which invokes peace and quiet, and the accent lights highlight the paintings, keeping you focused on the art. You can do this in your home as well, and it doesn’t have to be fine art. This particular brass spotlight is adjustable and can be angled to direct the light where it is needed. The options are endless and the style is perfect for an industrial chic look. With a slim profile, this contemporary floor lamp will set the stage, the metal structure sets a classy tone, accented with brass details for a mid-century appeal. Designed for versatility, the Baku Vintage Wall Light offers ample light that can effortlessly brighten up the ambiance. Perfect next to a sitting or reading area, this adjustable wall light looks great for either side of the bed, above a desk or in any living room that needs ambient multi-directional lighting. With its multi directional swivel joints, this industrial table lamp can be adjusted to provide comfortable light for reading or to concentrate on the task at hand. The adjustable arm locks at two angles while the head also has a tension joint to direct light where it is needed most. A contemporary interpretation of the Moroccan tagine, this industrial pendant light evokes memories of exotic destinations, spicy aromas and vibrant flavours, adding a warmth and richness to the interior it sits in. With a versatile design, the Nico Table Lamp offers an eye-catching profile and appearance. Designed for use on a masculine style desk or an antique end table, this industrial desk lamp could also serve as an accent in an artist’s studio or illuminate a modern loft space. With a versatile and practical design, the Dale Poster Light brings an industrial style to any space in your home. This extendable light is a perfect companion piece next to your bedside or favorite reading chair. 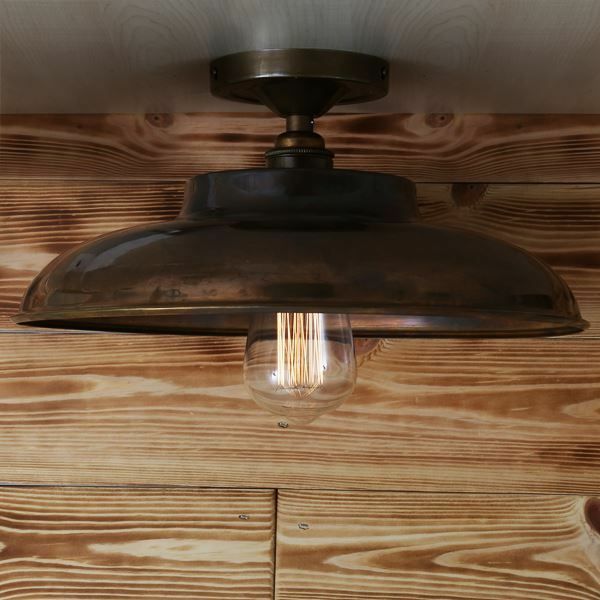 Very versatile, this brass spot light is fully adjustable and you can pivot it to angle the light exactly where you want, to create a unique atmosphere. Task lighting provides the primary light in a room, and is ideally six to 10 times brighter than the ambient light. It’s used to increase illumination above ambient levels at workspaces, and carefully chosen task lighting can minimise the need for overhead lights, which is helpful in conserving energy. A wall sconce that allows you to direct light where you need by swinging the arm as you need it from right to left. 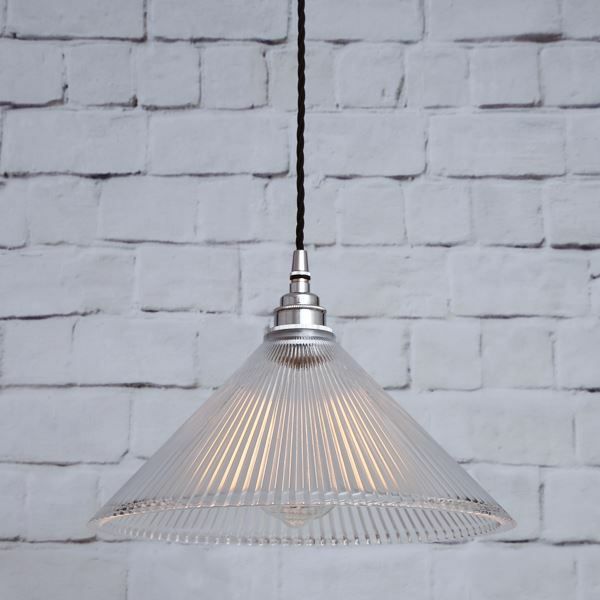 The coolie glass shade head also can tilt up and down to adjust lighting in your interior. In addition, you can request our trade pricelist and latest catalog here. With a discreet design, the Lefkosia 8cm Brass Recessed Spotlight was designed for lighting small areas. This recessed spotlight will help you expertly accentuate individual areas or objects. Inspired by Mid-century design, the Cairo Floor Lamp illuminates any space while adding sleek style. Place it next to your sofa or chair to spotlight a relaxing evening curled up with a book, or add it to a business office lobby for a sophisticated lighting solution. Accent lights are directional lights whose main purpose is to provide visual separation in a room. They’re secondary lights in a room, and as a rule of thumb, they should be be three to five times brighter than the ambient light level. Wall-mounted fixtures, such as sconces, are a good example of accent lights, as are table and floor lamps. The clean, bold look of modernity blends with an industrial inspiration to give this design a versatile and eclectric look that works with nearly any style of home decor. Providing a soft ambient lighting, the Fatima Moroccan Pendant Light incorporates clean lines while embracing the heritage of its design influences. 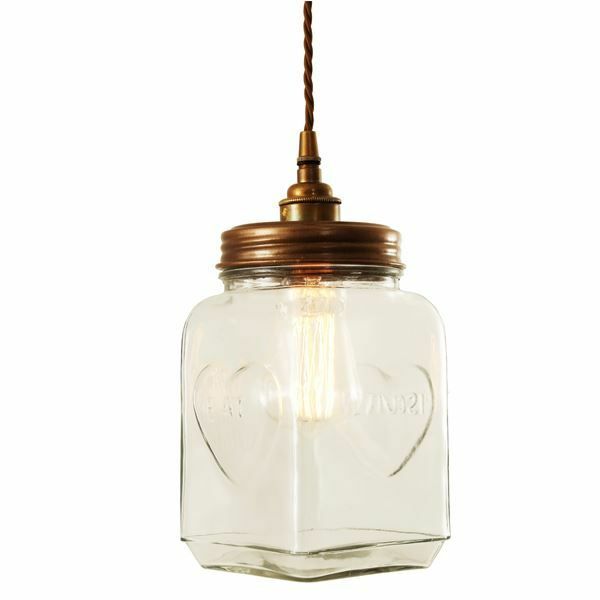 Aesthetically pleasing, this industrial pendant light brings style to kitchens and dining areas as well as bedrooms, hallways, lounges and living rooms.